Here’s the video everyone is talking about, starring Tina Fey as Sarah Palin. Enjoy! Yesterday, Tim and I spent the evening in Park City with our good friends, D’Ann and Todd Dabelle, and their daughter, Paige. We checked out the Arte Latino Festival at the Kimball Arts Center, hit the Rocky Mountain Chocolate Factory, had dinner and went back to their place to chat and laugh. At one point of the conversation, spiders came up and we all shared disgusting stories. 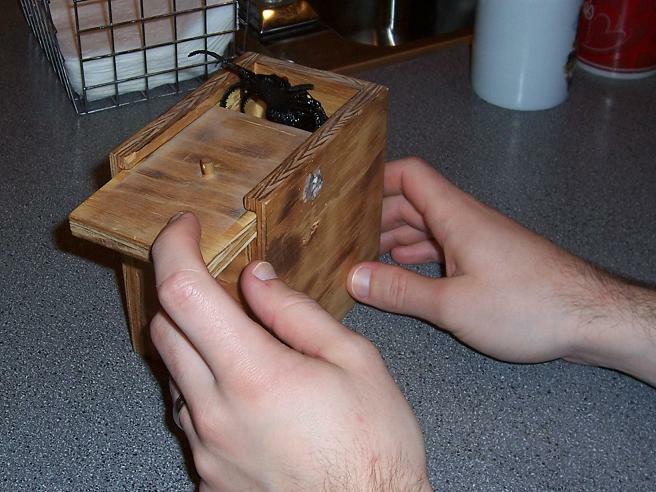 Todd left for a moment and came back with this wooden box and said, “Open it.” Of course with the topic at hand, I didn’t dare, so passed it onto Tim. 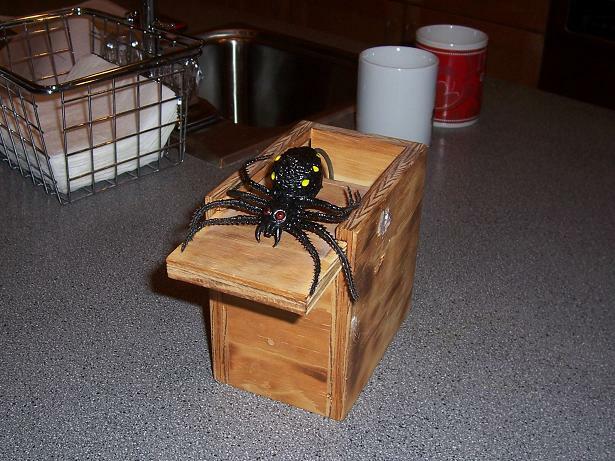 Tim opens the box and a large black spider comes crawling out – Tim JUMPS and I took off! We even caught a second encounter on video for your viewing pleasure below.